Humans are naturally good. It is innate in us. Nobody was born evil. A baby wasn't a bully or a racist from when he came out of his mother's womb. Goodness is human nature. We just forget. Maybe because along the way people treat us unfairly or hurt us badly that as a reaction, we let anger rule our emotions and cloud our judgment. You can't love someone who made you feel like trash. Maybe those around us tell us too often for too long that we are incapable, or not good enough, or that we will never amount to anything that it got ingrained in our minds. We are gold. But somehow life keeps putting us down that we got covered in mud or dirt we forgot how shiny and precious we are inside. We forgot our identity: that we are good. We need something or someone to remind us that we are good. We are enough. And that no matter how we think how little our contribution is, we count and we matter. I mean, think about the Butterfly Effect. It is the idea that small things like a flutter of a butterfly's wings, can cause as huge an impact as a hurricane on the other side of the world. That's how powerful it is. That's how powerful our choices are. So a simple effort such as choosing sustainable products can make a humongous difference to our planet. Using paper stem cotton buds over plastic might can save a turtle's life. 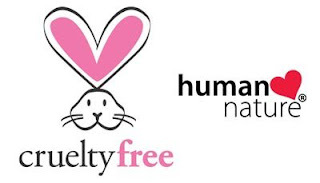 Advocating on companies that are cruelty-free can set animals free. Animals aren't put here on earth to suffer or die just so we can perfect that shade of red of our lipstick. Goodness is a choice. Every day we have an option which side to choose, how to react, how to help. For instance, our food can either nourish us or make us ill. What you put inside your body is solely up to you. Those who hurt us can either apologize or not. But to forgive them is all up to us. We can wait until we or our offender is dead before we forgive them. But that is something we choose ourselves. The products we use on a daily basis can come from a company that has no regard for Mother Nature or one that prioritizes and sustains the planet's needs in what they do. As I grow older, I've become more aware of what I can do more to help make the world a better place. Every day, my desire to care for nature grows stronger. I ask myself, "What else can I do?" I started as a fan. I've discovered Human Nature brand while looking for something new to try in the grocery store. Then I become addicted to their products because it's soooo good. The quality is comparable to leading and expensive brands but at a much lesser price. I buy whatever they release---even those that are for kids because I just know they're all excellent and worth the try. Having read about wealthy mindset, I researched about them and decided to become a dealer. Only to avail the discount every time I buy. But then the brand is too good not to share. It is so easy to sell because people already know and can testify to how good it is. They are cruelty-free. They don't test on animals. They're the first Filipino company that received a prestigious cruelty-free recognition from PETA. Now before I buy cosmetics or anything I consume, I ask first or look for that bunny. It maybe just a simple (or even unnecessary for some) kind of act, but for a beagle who can go blind during the testing or a mice that could die, it is their salvation. They are pro-environment. They see to it that when you rinse off your shampoo or when your sunblock washes off to the sea, it doesn't harm the ocean or the planet in general. They are pro-poor. Human Nature helps give local farmers and unemployed mothers a chance to earn a living. According to their website: "As firm believers in fair trade principles, we offer to buy at just and fair prices from our community-based suppliers, sometimes even above market prices if the market price is not enough to provide a good quality of life for the farmers." They also support Gawad Kalinga which is a movement that has helped build homes for the poorest communities. It is their core belief "to end poverty by first restoring the dignity of the poor." They are pro-Philippines. The ingredients and raw materials they use are locally grown from the Philippines. In case you don't know, the Philippines is rich in natural resources which are mostly used for expensive products you see in the global market like coconut oil. Human Nature recognizes this fact and so they formulate products from here, buying from local suppliers, and using talents and skills of the locals. I am so glad and proud to be a part of this brand. They have the balance between excellence of their product plus a heart for those in need. For me, the quality of their products can compete with the imported ones but the price is much more affordable. They generously give back to the community and to the planet. I think I hit the target here. My Human Nature Lucky Shop is now open to serve you! Just recently I opened my very own online dealer shop. If you want to purchase, you can check out my Human Nature Lucky Shop. Just create an account (you may use your Facebook) so that your shipping address is saved and you don't have to create a new one every time. No, that was not a long sales pitch. I meant every word I wrote. In fact, I mentioned this business in my Monday Gratitude List last 2014. I've always wanted to feature them on my blog but then I always let other things get in the way. Yes, I've tried them all! If you want to nourish your body without hurting your budget and help make the planet a safer and better place, buy organic, cruelty-free and natural products. Support companies that are not all about profit but has also a purpose. Essa marca parece ser muito incrível! Thanks for recommending! I feel your sincerity in every words said. Glad that there are still businesses who don't only look after their profits, but also give back and creates efforts to ensure a maximum benefits for everyone.